I'm sure there are many companies still using Approach/Access/Foxpro type systems. They still have one feature that Notes Lacks, and that is a decent reporting engine. Small and Very small businesses need to be able to create these types of reports easily and without IT experts. 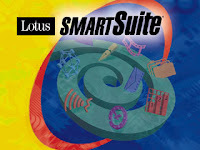 Lotus Approach is still one of the best tools for importing different database types into Lotus Notes. Also one of the few reporting tools that normalizes Notes multi value fields. Carl, I know and it was a sad day. But hey, it lives on and well, I have 2 clients I support on it and perhaps more after this. Wayne, reporting, yeah Crystal Reports gets to you and I hate it.